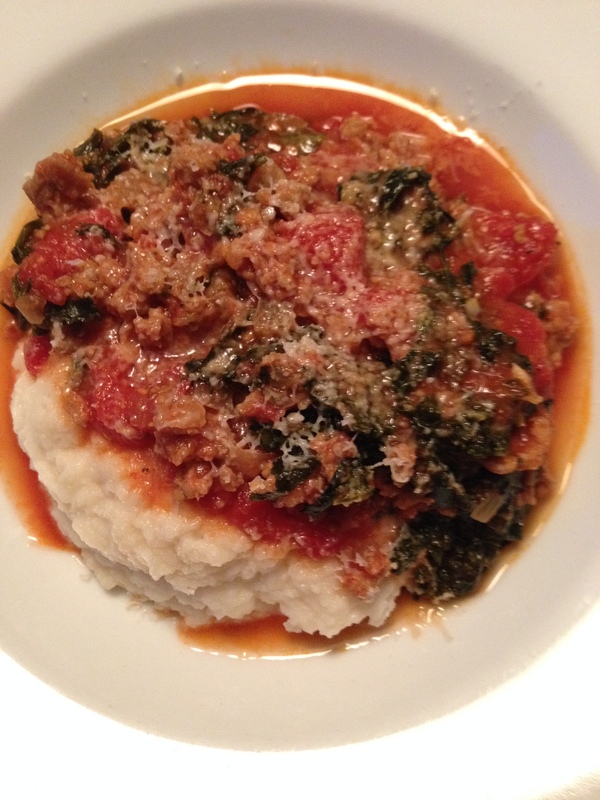 Enjoy this kale and meat delish dish, rich in K 1 and K 2. I found this recipe in Real Simple Magazine last fall and I made it even more “simple”, changing it from a crock pot recipe to a quick stove top sauté. Serve it with pasta, mashed potatoes, or my Cauliflower Mash. All are good. Cauliflower has fewer carbs and some alternative nutrients. The Romano cheese is not essential, but it’s a yummy addition. We like spicy and try to avoid fat, so I used hot Italian turkey sausage which is perfect for us. The sweet Italian turkey sausage would be good too. Don’t be afraid to add a ton of kale. I use the entire bunch, removing the stems before chopping. It shrinks up a lot! Kale is the rage for it’s richness in Vitamin K which was first discovered in the early 1930’s for it’s role in coagulation. Deficiencies in Vitamin K are rare, or at least for K 1. There is also a K 2 where deficiencies are common. In the 21st century we are learning of the impact K 2 has on our heart and bone health. K 2 is found in liver, chicken, beef, bacon, ham, egg yolks, and high-fat dairy foods. Some studies indicate it may help strengthen our bones and prevent the accumulation of calcium in our veins and arteries. This is significant, considering that 20% of our atherosclerotic plaques are comprised of calcium. K 2 is also found in a fermented soy food called natto. The studies of Japanese women indicate those who eat natto regularly have a lower risk of hip fracture. High doses of vitamin K 2 supplements are approved in Japan for the treatment of osteoporosis. And it may matter that we eat meat that is grass fed, rather than grain fed. We get vitamin K 2 from animal foods because animals synthesize vitamin K 2 from K 1 which they get from the grass they eat. Hard cheese is a better source of K 2 than other dairy foods. Vitamin K is a fat soluble vitamin, so it makes sense it is found in high fat foods. Interesting that eating high fat foods may help our hearts and bones! At this time we can accurately measure our blood levels of K 1, but not K 2. In the meantime, we need to be aware of the food sources of vitamins K 1 and K 2 and know that K 2 deficiency is prevalent. Heat a Dutch oven or large sauté pan over medium high heat. Add the oil. Add onion and sauté until tender. Add the garlic and stir constantly for 30 seconds. Do not brown! Add sausage and break apart with a large spoon as it sautés. Once the meat is thoroughly cooked, add the tomatoes and tomato paste and kale. Mix and simmer 20 minutes. Serve in shallow bowls over Cauliflower Mash. Sprinkle with grated Romano cheese if desired. My favorite is the Locatelli brand. Posted in main dishes, Soups and Stews and tagged bone health, heart health, K 1, K 2, kale, natto, sausage, Vitamin K. Bookmark the permalink.